We give you the kittens starting the 12-13th week of their life and weigh at least 1200gr. Kittens have 2* vaccinations. Kittens are vaccinated two times: the first time in 8 weeks (rhinotracheitis, panleukopenia and calicivirus), the second time in 12 weeks (rhinotracheitis, calicivirus, panleukopenia and rabies). When you need more vaccinations or investigations, you can subscribe to it at your own expense. All kittens are checked by a veterinarian at least twice. All our kittens have a microchip. 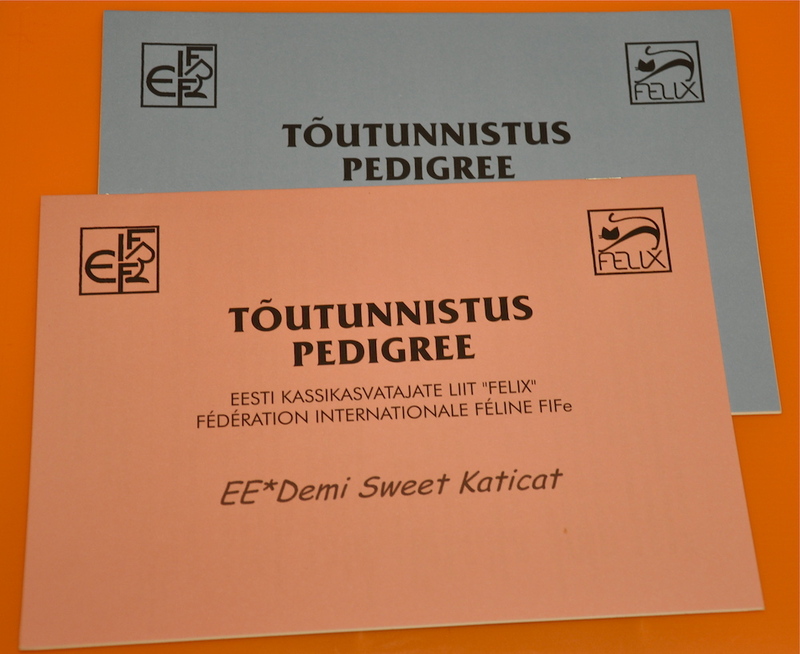 All kittens with a FIFe pedigree and EU petpassport. NB! Pet-quality kittens new owner has the obligation to purchase a kitten neutering the latest 10-month old.